The latest craze in the USA & Europe, the Volumizer has become the greatest and highest course of income for Wigmakers worldwide! and it can be for you too! 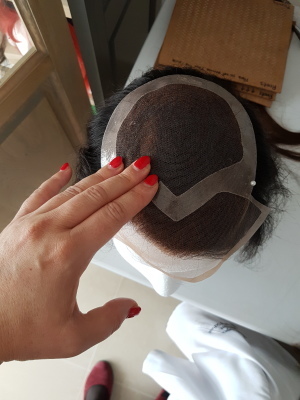 A great deal of high end famoud hair loss clinics in London and around the world are offering the Volumizer method as a hair replacement solution,and it has become increasingly popular amongst Trichotillomania and Alopecia sufferers. 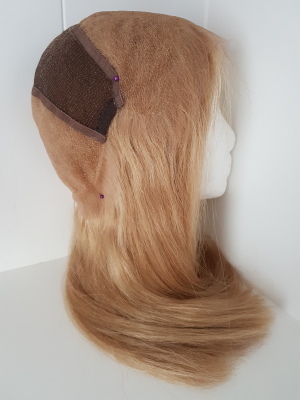 -Clients who simply dont have the time/do not wish to wait a considerable amount of time for a hair system to be made: The Volumizer is a custom made hair replacement piece that can be created on the day! 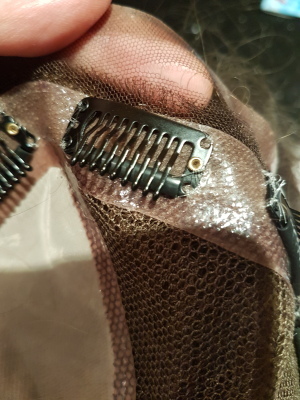 The Volumizer doesnt move, nor does it need to be removed daily, as much or as little hair can be added to the system depending on the clients particular hair loss need. 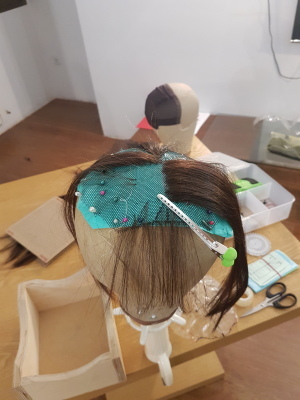 "Less is more" is the idea behind this innovative system and it can achieve a lightness that a Wig cannot offer the client. - Clients who wish have a hair system that feels natural: with the Volumizer, clients are able to blend their own hair into the Volumizer! This makes the system feel more natural as their own hair is integrated within the Volumizer. 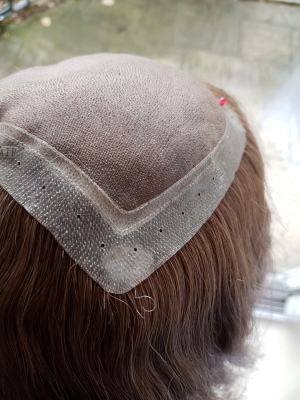 -Clients who do not want to wear a Wig or Toupee: some clients hate the idea of wearing a full wig or toupee and long for a small hair replacement system that is just big enough to cover their hair loss area. The Volumizer does just this! all the while remaining undetecable, blendable and versatile enough to work with the clients existing hair. ADVANTAGE OF CREATING THE VOLUMIZER SYSTEM YOURSELF! - Financial return: if you yourself are an existing clients of the Volumizer hair system /Enhancements/ Hair integrations and many other hair systems, you will know how much Volumizer system can be, for the price of a Volumizer system, you can instead LEARN how to create one yourself to a much higher standard and not only save yourself money, but go on to sell and create these systems for other hair loss sufferers! -Work from home: creating the Volumizer is amazing those who wish to work from home and earn a great salary per month without owning a store and having to worry about overhead costs. 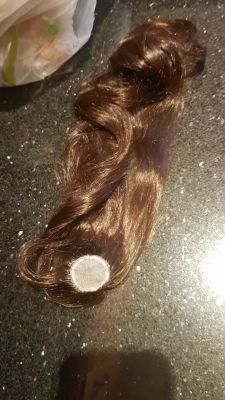 Or even those who own hair salons and are looking for a change, fed up of earning £3 for selling a shampoo when instead they could be earning thousands by offering hair loss clients a wonderful and natural solution (and get a good reputation in the process). -Expand your career path: Many long to work, and do work as make up artists, catwalk hair designers or theatre hair designers. Adding this skill to you resume can enhance your work load! 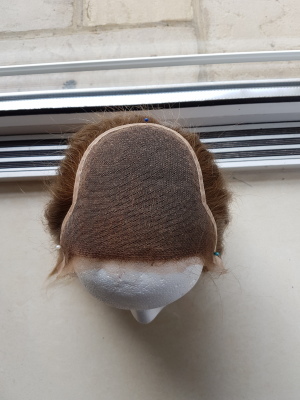 You will be able to achieve any design with almost any materials that you could possibly imagine (this is not necessarily hair, E.G. wool, feather, etc). 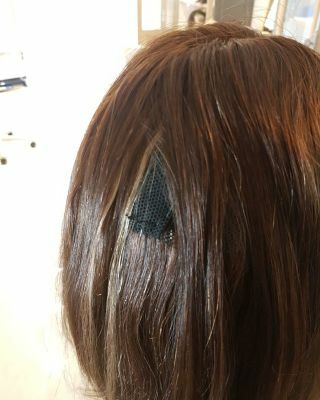 You can add any low/highlights at any moment without even dying the persons own hair!! GREATER STILL, imagine being able to change someones overall look every day, by using the same foundation and achieving amazing results. -Making quick and easy Sheitels with your own hair. To join the Volumizer course you will not need any previous experience of any of the 3 different Volumizer methods. You will learn everything you need to know during our 2 day intensive class with the prodigious tutor, Ms Rosa. 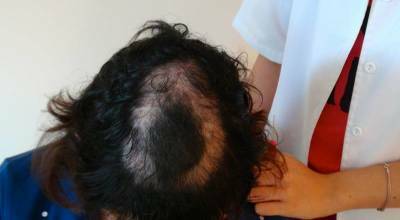 [Most hair loss clinics in the UK and Europe, are currently charging their clients between £1,200 to £1,900 for a Volumizer hair system]. Timetable: This course runs for 1.5 to 2 days. The course will run from 10am to 6pm. Course Dates: Please see above for the group course dates. 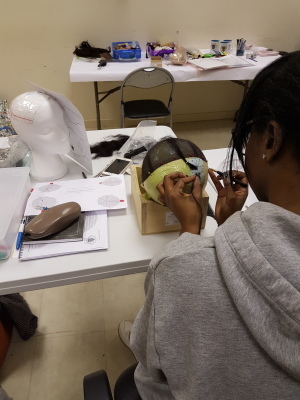 As One to One courses are taught privately, the dates for the course are scheduled around the best availability for both the student and the Tutor. Please email us for further information and secure your course dates today! 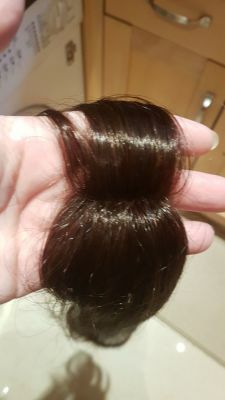 What you will receive: Full kit is provided worth £300, you will also receive your UK Wig School certificate and 1 year of full support. 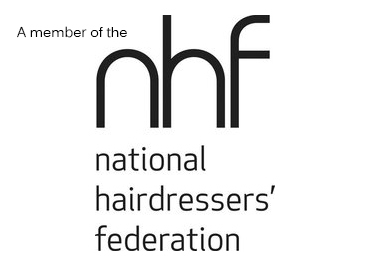 We also can provide training for you and your staff, you would be able to start your own hair loss clinic in your own salon. We would teach you how to generate more income, and how to use the full potential of your premises. -Who can benefit from it? 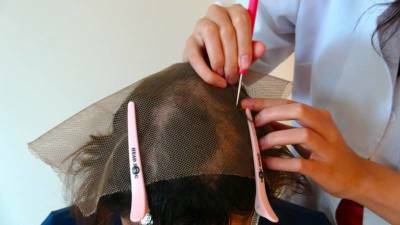 A: Normal UK method, which is used in the most expensive and prestigious London hair loss clinics. 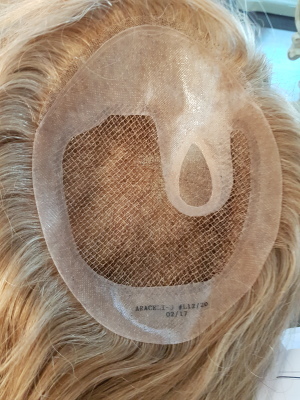 B: Trico Alopecia solutions, a highly advanced method, with a far better technique. -Reattachments and realigments, and prices. -Sources for materials used for your technique, and hair. Email us for more information and secure your course dates today!